Kuwait, 7 November 2018: With the onset of the camping season, Abdulmohsen Abdulaziz AlBabtain Company (AABC), the sole authorized dealer of Nissan vehicles in the State of Kuwait, encourages its Nissan fans to opt for the dynamic Nissan Patrol Safari to enjoy the ride to its maximum. 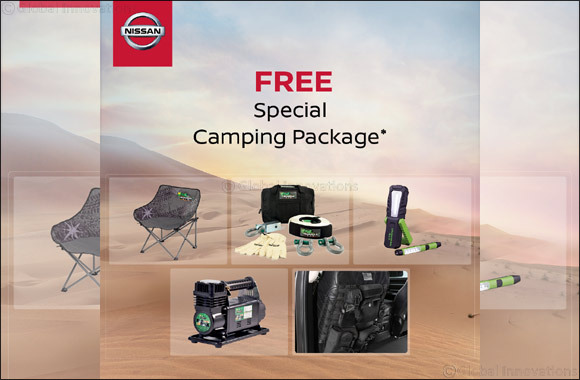 To ensure a smooth and memorable journey for our customers, every Nissan Patrol Safari owner will also be entitled to a free special desert package that holds camping equipments. With impressive styling and richly appointed interiors, Nissan Al Babtain’s Safari features the torque-rich 4.8L DOHC in-line 6-cylinder engine and available in either manual or automatic transmissions with five-speed. The customer will receive a special package including a desert rescue package, small camping chair, air compressor, LED worklights and slip on seat covers. The vehicles rugged exterior has been enhanced with machine-cut 16-inch black alloy wheels, body side stripes, whilst the interior encompasses fabric seats, wooden decoration, and fitted with cruise control steering wheel-control switches and power windows with one touch auto and anti-freeze functions in addition to the cool box to contribute to the drivers comfort and convenience. Backed by superior engineering, the Nissan Patrol Safari is the ultimate off-road performance car with an unrivaled off-road capability and on-road handling. Delivering top-speed and power, the 4.8L DOHC in-line 6-cylinder engine produces 280hp and a heavy 46kg or 451Nm of torque, allowing it to maneuver through sand dunes with ease. Its formidable all-terrain prowess is underscored by superior engineering including a 5-speed automatic transmission with manual mode, as well as Vehicle Dynamic Control (VDC) and a Tire Pressure Monitoring System (TPMS) that enhance on-road driving. Nissan Al Babtain invites customers to visit its showrooms located in Al Rai and Ahmadi to grab hold of the winter deal and explore new possibilities on the wild deserts of Kuwait with one of the worlds most rugged all-terrain vehicles.